I have discovered that two of the 22 plastic gears in the gearbox of my ST4000 are stripped. Apparently Raymarine does not support the product. 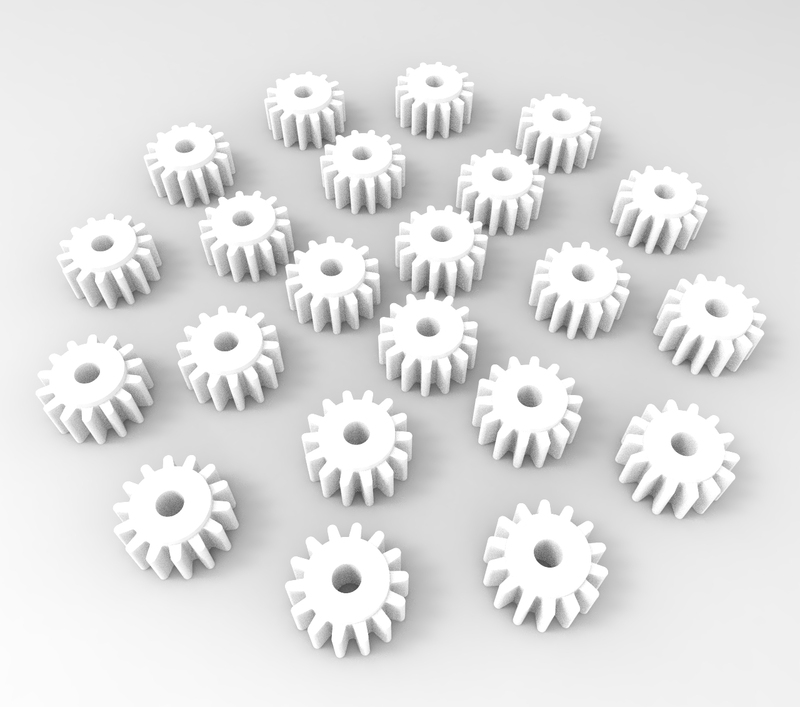 My gears have 14 teeth and outside diameter of 9mm. Does anyone know where I can find a couple of these gears? Too bad that Raymarine can't help. Here's a possible option. Purchase some modeling clay. Coat the gear with some vasoline and push it into the clay. Make a wooden dowel or shaft to the right size and insert into the gear's hub after coating it with vasoline. Sandwich the clay with gear between two hard surfaces-blocks of wood or metal plates. Push the clay from the sides into the gear to create the best possible mold. You will have to experiment to get the technique. Carefully remove the gear. With the gear impression in the clay, and some artistic creativity with small tools, you may be able to restore some of the damage from gear stripping. Leave the dowell/shaft in place. Pour 2 part epoxy into the mold and let it cure. The vasoline will act as a mold release from the shaft, and the clay can be scraped of the epoxy gear if nead be. (Clay contains oil, so it may freely release the gear.) Carefully Sand paper the gear defects to finish. A more precise gear copy can be made from 2 part pour-a-mold silicone. (You'll have to construct a small mold box). The silicone will not stick to the gear, so no mold release will be needed. Do a google search, and you will find some suppliers that sell these mold products to modelers. The last option I can think of is to 3D print the gear if you can find a CAD drawing and someone with a 3D printer, which have become fairly popular. Have you tried Ebay to locate an old unwanted Autohelm 4000? I own a metal lathe and have a rotary table. I'd cut a new gear from plastic if mine. Another option is try to find a used ST4000 and take two to make one. Finally, before I owned a lathe I took a gear to a machine shop and they made it for me. But that can get expensive. This was a specialty piece of machinery I could justify the cost. 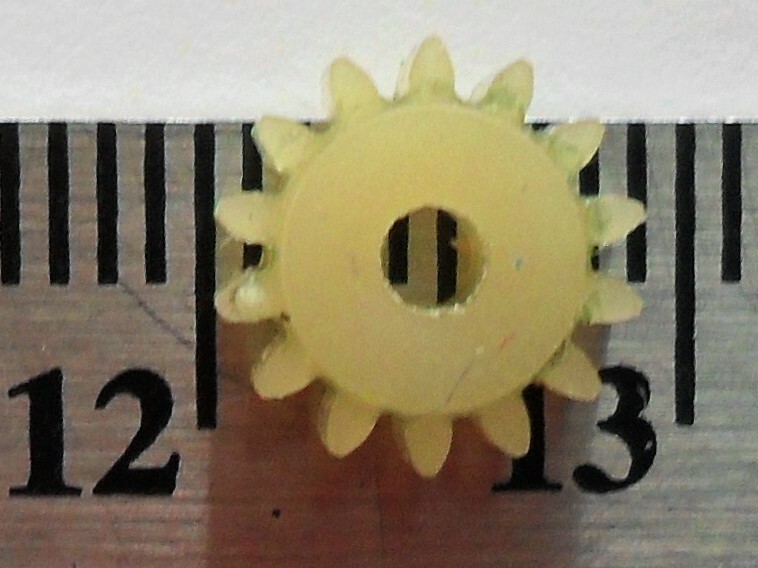 A small plastic gear, probably hard to justify a machine shop. Search for "I3dgear" on the internet. He fabricates parts with a 3D printer. He made a tensioning wheel for our Autohelm 4000 just before this last Christmas. The part looks great, i have not had a chance to reassemble it to prove it's effectiveness but if its looks are any indicator it will be great. Maybe he can make the part you need. We found that we needed a gear puller to remove the steering wheel. It was quickly borrowed from on of the local auto parts stores. Also, take a magic marker and mark the location of where the clips attach to the spokes of the steering wheel. It will make re-assembly much easier. If you have all the parts, it's about an hours worth of work.